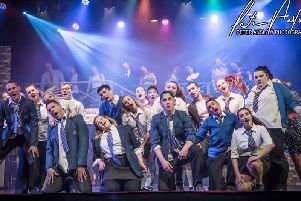 Step into “the house of fun” this March as Pendle Hippodrome Theatre Company brings the Madness musical to Colne. Our House is a comedic love story that follows Joe Casey on his 16th birthday as takes out the girl of his dreams. In an effort to impress her, Joe breaks into a building site overlooking his home. When the police turn up, he is forced to choose between himself and his heart, the consequences of which will change his life forever. The show features some of Madness’s record-selling hits, such a Baggy Trousers and Our House. Our House will be performed at the Pendle Hippodrome Theatre, Newmarket Street, from March 19th to 23rd at 7-30pm nightly. There will be a Saturday matinee at 2pm. Tickets: www.phtheatre.co.uk or 01282 863210.